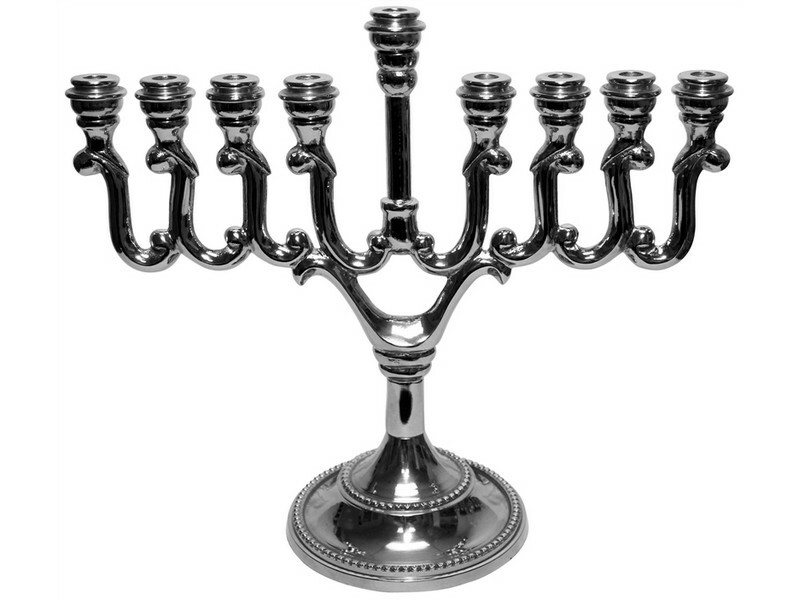 This beautiful and traditionally styled nickel plated Hanukkah menorah is classically designed. The Menorah has a round decorated base supporting the Menorah branches. This nine branched menorah has the middle “shamash”, or helper, candle built from the base, towering above the other eight branches. The eight other branches, presenting the eight days of Hanukkah, are crafted, four from both sides, each based on an attached single branch. This menorah will enhance your home, party and Hanukkah and makes a great gift.